While many tributes continue to surface for George H.W. 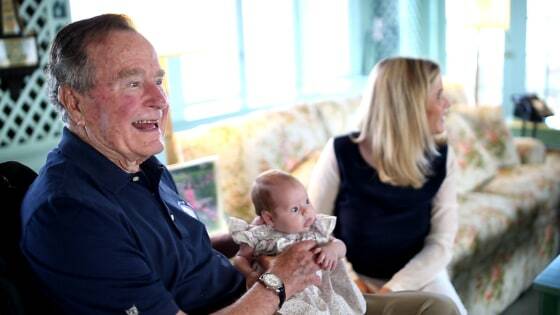 Bush, none are more touching that the tribute letter written by Jenna Bush Hager. The 41st President passed away at the age of 94 on November 30, 2018 in Texas. Though he was not born there, he loved Texas and Texas loved him. The School of Government at Texas A&M is named after him and his Presidential Library is there as well. Jenna, his granddaughter, wrote a letter to her grandma (Barbara Bush) when she died and now followed the same tradition for her "Gampy". In fact, there relationship was so close, Hager named her younger daughter Poppy after her grandfather. It was the former president’s nickname. The full letter Jenna wrote can be found on the Today show. A memorial service was held today and George H.W. Bush will lie in state in the rotunda until Wednesday morning.